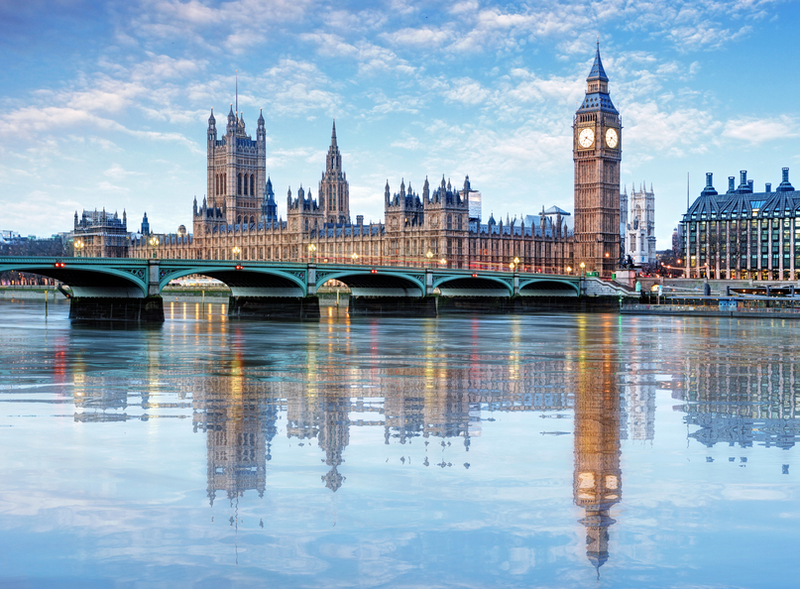 The Houses of Parliament has been crowned London’s favourite heritage building, in a poll to identify the capitals best loved heritage buildings. The Natural History Museum came a close second with St Pancras Station and St Pauls Cathedral in joint third place. Also featuring in the top ten were Buckingham Palace, Tower Bridge, the V&A and the breath-taking Greenwich Painted Hall, described as the ‘finest dining hall in Europe’. 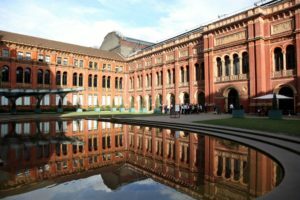 37 different buildings were nominated, from the symbolic to iconic architectural masterpieces as well as hidden gems, reflecting the breadth of heritage buildings we’re so lucky to have right here on our doorstep in London. Working with the Heritage of London Trust, Grangewood canvassed the views of the Trusts members and professionals from across the built environment, responsible for the design and construction of London’s skyline today. The research was conducted by Macbeth Lankester as part of a wider ‘Celebrate Heritage’ campaign we have rolled out for Grangewood to shine a spotlight on heritage buildings, to celebrate everything that makes them special, and tell its brand story. People value and connect with heritage buildings for a mix of reasons but mainly because they tell a story of our past, provide a legacy for future generations, and preserve traditional building techniques. At a personal level they evoke fond memories of happy times spent with family and friends. ‘The survey shows that people are deeply attached to London’s heritage buildings. Over 85% of people we spoke to said their hearts sit with traditional heritage buildings, as opposed to modern ones” comments Richard Stevens, CEO, Grangewood. For everyone who took part in the survey Grangewood has made a donation to the Heritage of London Trust, raising over £3,000 to support its projects and save buildings ‘at risk’. The charity helps preserve the buildings and monuments that tell the story of the city and its people. 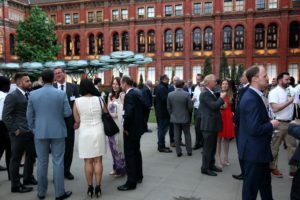 We were joined by property professionals from across the industry as we launched Grangewood’s Celebrate Heritage campaign at its annual summer drinks reception at the awe inspiring V&A. 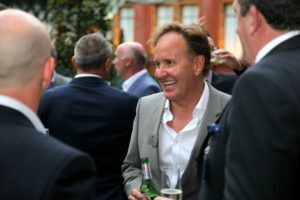 Over 200 professionals from across the property sector gathered for the specialist contractor’s summer drinks reception. 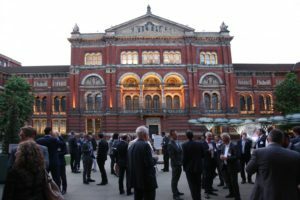 Held at the spectacular V&A Museum in Knightsbridge the venue was the perfect setting to enjoy a drink, and take in the grandeur of the iconic Victorian building from its centre point in the John Madejski Garden. On display in the garden was Stuttgart based architect, Achim Menges, fabricated pavilion. 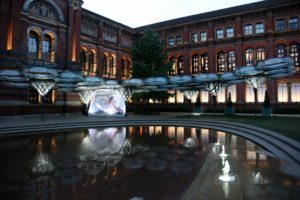 Built entirely from robotically produced fibrous systems based on the wings of flying beetles it provided a great backdrop as the sun set, and its illuminated canopy came to life. 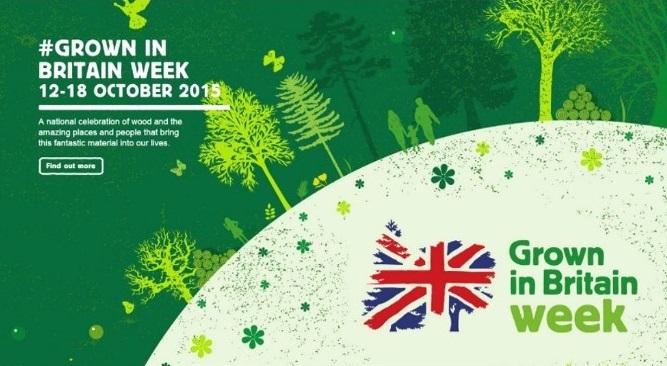 Grown in Britain week was a major success this year and we were proud to be part of the team delivering a powerful ‘buy British’ message to the public. 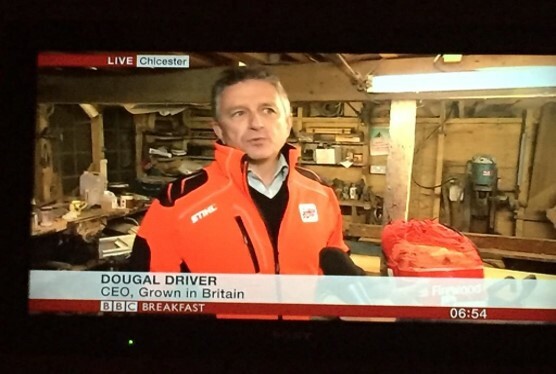 In a week where our woodlands and forests dominated UK headlines, Dougal Driver, Grown in Britain CEO spoke to BBC Breakfast about why we should ‘buy British’ wood products. 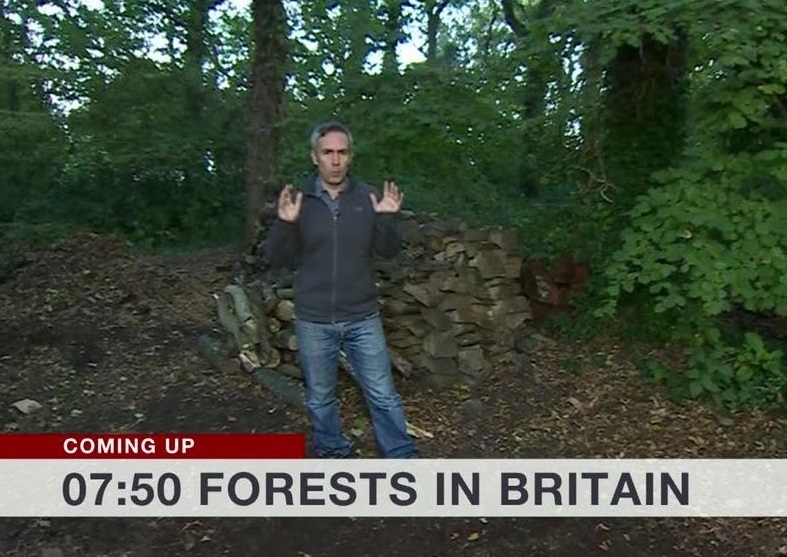 As the camera started rolling we had a record number of hits to the Grown in Britain website, evidence that just as people are becoming more connected with where their food comes from, they also want to know the provenance of the wood products they buy.